Obvious, yes but needs to be pointed out. This can be either an Intel Mac or a Windows PC (running anything from Windows XP up to Windows 7 32-bit and 64-bit). The software available to make transcription easier is commonly available for both Windows and Mac users. This is the key component of transcription typing. The software is responsible for audio playback and audio control from within your preferred word processing or text document software. This means that you never need to leave the window you are typing in to stop/start/rewind the audio – the software handles this for you which saves a huge amount of time as those of you who have tried to transcribe using Windows Media Player or QuickTime will know. If you have come from a transcription typing background, i.e. you have used a foot pedal before then you will need a USB foot pedal to go with your software, experience has shown us that once a foot pedal user always a foot pedal user. For those of you who are new to transcription you have the option of using a foot control or alternatively using keys on the keyboard to control the audio playback. The pedal or the keys are used to stop/start/rewind while listing to and typing the audio. There are a number of software options around for transcribing audio, we will look at two of the most popular – Express Scribe from NCH Software and DSS Player Transcription Kits from Olympus. The transcription software is key for transcribing digital audio files, it replaces the old tape playing transcriber units of days of old. Blog post from our UK blog – NCH Express Scribe vs Olympus Transcription Module. This post has some Express Scribe history and compares the two products from a business level. Express Scribe from NCH Software – $free or AU$35/US$35/GBP23 approx. Express Scribe has been around for a very long time and is hugely popular with the micro (WAHM – work at home Mum) and VA (Virtual Assistant) style businesses due to both its cost and functionality. Until late 2011 Express Scribe had been free and could play just about any audio format you could throw at it. This recently changed and NCH now offer a free edition and a Pro (paid) edition of Express Scribe. The Pro edition can play a huge range of audio file formats including the very common .ds2 (DSS Pro) audio files now created on the Professional range of Olympus and Philips digital dictaphones. The free edition is restricted to open audio formats like .MP3 and .WMA (Windows Media Audio). Earlier blog post explains the difference between free and Pro version. Both Windows and Mac compatible Express Scribe can run on either platform. The software can be downloaded and up and running in minutes and is very easy to use and set-up. I recommend you start with the free version first, install it and have a play to see how it works. Scribe comes pre loaded with a sample audio file containing a welcome message – this is perfect for practice in using the software and transcribing from it. Obviously as a download they haven’t yet perfected squeezing a USB foot pedal down the phone line so to start with use the Hot-Keys to define the how you would prefer to stop/start/rewind your audio. My tip: use three of the F keys towards the middle of your keyboard and clearly label them with STOP/PLAY/REWIND – you will very quickly get used to which key does what. Should you require a USB foot pedal then I highly recommend you buy one via the NCH website. Pricing is in US$ but they do ship to Australia and other countries outside of the US. You will also need to find yourself some good headphones to wear as you listen to the audio. I recommend you buy USB headphones and not the headphones that connect via your sound card. Make sure they are comfortable as you will be wearing them a lot. UPDATE – Mid 2012 the Olympus AS-5000 transcription kit was replaced by the Olympus AS-7000 Pro digital transcription kit with updated software and new 4 pedal USB foot switch control pedal. Windows users: AS-5000 will work with all Olympus voice recorders, current and past models including the latest Pro range Olympus DS-2400/DS-3400/DS-5000. Choose AS-2400 if you have any Olympus recorders other than the current Pro range. 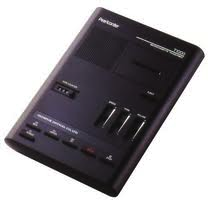 Mac users: If you are going to transcribe on a Mac only choose the AS-2400 kit, the software for Mac is exactly the same in the AS-2400 and AS-5000 kits so save yourself some money and only buy the AS-2400. The cost of these kits when compared to Express Scribe is quite high but remember the kits contain the latest transcription software from Olympus, a transcription headset and a USB foot control (known as an RS-28). The Olympus AS-2400 transcription kit costs approx. AU$349/US$349/GBP234.00 and the AS-5000 kit is approx. AU$449/US$449/GBP300.00 – expensive yes but you do get what you pay for. Including support from your Olympus reseller and from Olympus themselves.